Choosing the perfect wedding gown is one of the first things a bride does after picking a wedding date and venue. Once she has her dress, everything else starts falling into place. However, selecting the dress is just the beginning of creating the complete bridal look. A bride also needs to consider what accessories are necessary to complete her look. A bride can spend almost as much on her accessories as the dress if she’s not careful, so she needs to prioritize. A bridal consultant can help determine what is needed to accent a specific dress and help the bride stay within budget. 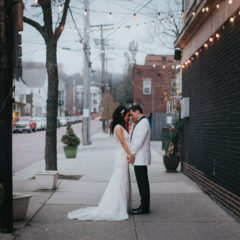 Professional boutiques will track a bride’s preferences and can share with family members who want to purchase for her. The first accessory a bride should consider is the veil. Although the majority of brides opt for veils, there are always a few who don’t want to wear one. 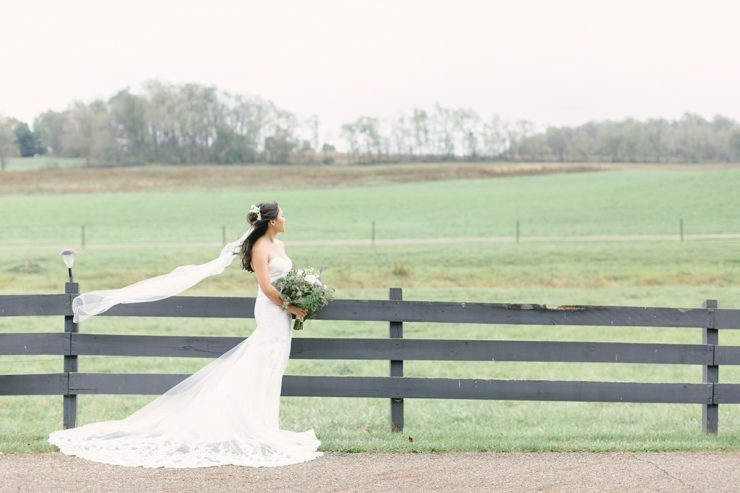 Pairing a beautiful veil with the dress is what makes a bride truly look like a bride! A bride will never again have the opportunity to wear a veil. 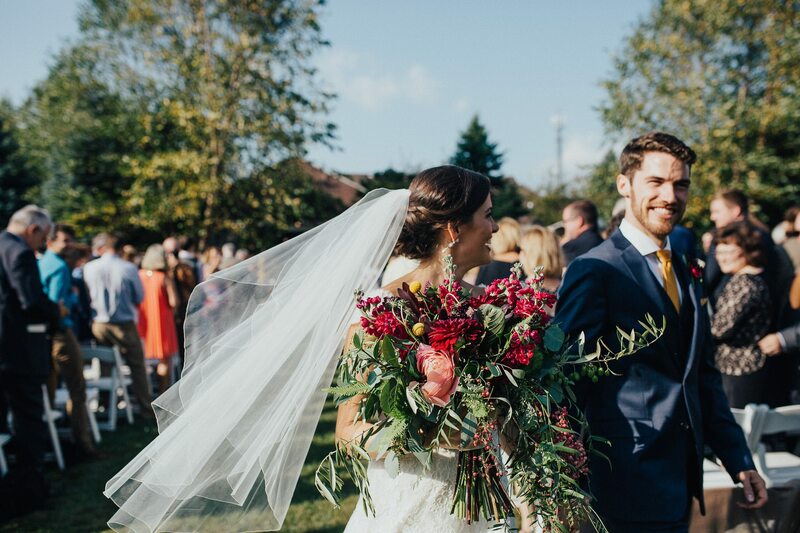 How a bride looks on her wedding day will be captured in photos to share with friends and family for decades to come. It’s her day to shine! A bride doesn’t want to look at wedding photos and regret her choices. Now you realize the importance of a veil. But what veil is the right veil? Again, this is where your bridal consultant can offer guidance. 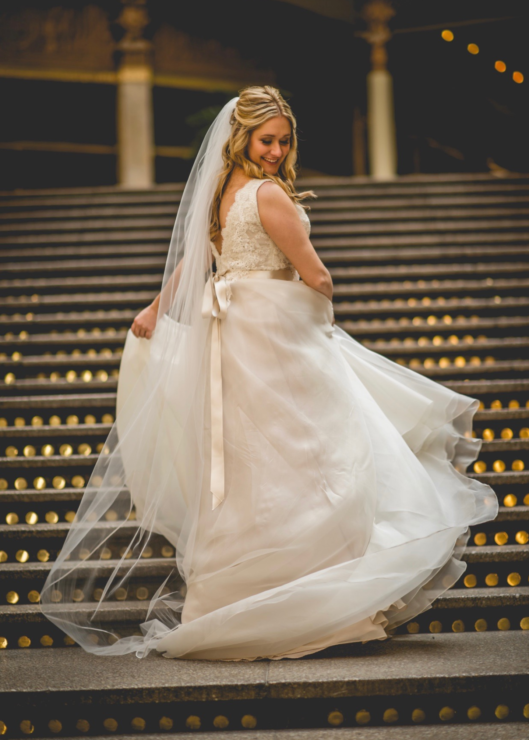 Bride, Maggie, wearing her beautiful ribbon edge veil by Jennifer Leigh. The first thing to determine is the length of the veil. There are many options, but typically fingertip, chapel and cathedral are the three choices most popular with today’s bride. Fingertip, as the name implies, is the shorter of these and ends at the brides hand. These veils usually measure between 36″-40″. This is a more contemporary, less formal choice and looks great with almost all dresses. 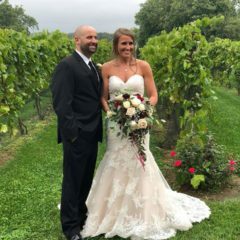 It is the best choice for outdoor venues or paired with dresses with lots of lace and embellishment on the hem, since it won’t obscure the bottom of the dress. A chapel length veil is the most popular of the longer veils. 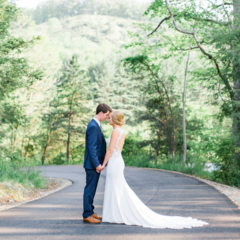 It is typically 70″-90″ and extends between 6″-12″ beyond the dress. They’re more formal and look fabulous as the bride walks down the aisle. A cathedral length veil is a showstopper and the longest of the veils. At 108″-120″, it’s the veil for the bride looking for drama. Veils with blushers are also making a comeback. These traditional veils have a shorter layer worn over the face during the wedding ceremony. Along with your veil length, you will need to choose the edge and embellishment of the veil. 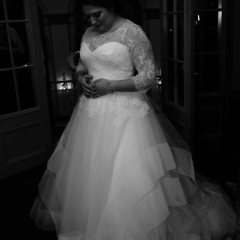 Veils are made of tulle: some softer and finer then others. When it has no edge at all, it’s called a raw or cut edge. A bride can’t go wrong with this choice. 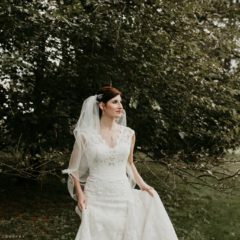 A more simple dress can stand up to a veil with lots of lace and crystals, and a dress with lots of lace and bling won’t be overwhelmed with a more simple veil. Consider the back of your dress when choosing the veil. Don’t hide beautiful illusion and lace detail back with a busy veil. Designers are offering some fun and fabulous veils with color, applique, bling and embroidery. If a trend-setting, standout veil is a must, you might opt to chose your veil first and then the dress to go with it! 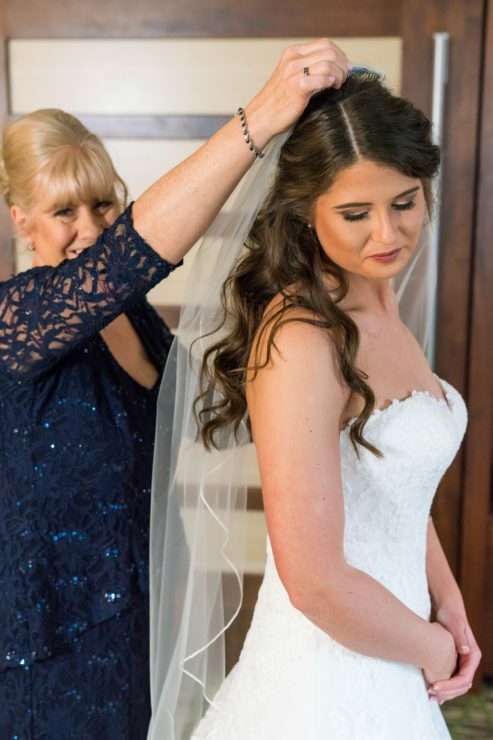 If you want to wear a family veil, bring it to your bridal appointment so you can try it on with your favorites. Veils can discolor with age or be too white to wear with today’s ivory gowns. You want to be sure the veil will work with the dress of your dreams! Birdcage veils peaked a few years ago although still can work for brides going with a retro, vintage look. Jewelry, belts and shoes are also key components in completing a bride’s total look. Watch for more important trends and advice in our coming blogs.